"I don't know how to cook!" is no longer a valid excuse. ﻿If you can squeeze a lemon and pour some salt you can prepare this exquisite dish. This is another dish Vincenzo taught me. 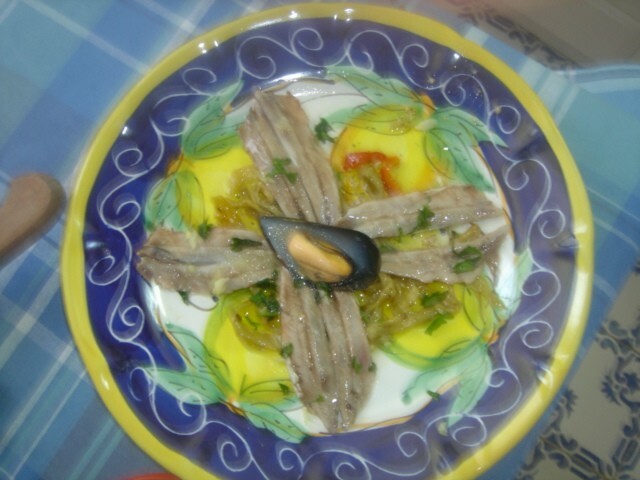 We made the dish using fresh anchovies but, knowing it's difficult to get fresh anchovies, even in NYC, Vincenzo said you can substitute other types of fish. I feel most comfortable with sushi quality tuna as you can have that uncooked. Preparation with tuna is even easier than it is with anchovies. You have to clean the anchovies by hand and it takes a while - but it's certainly worth the effort. 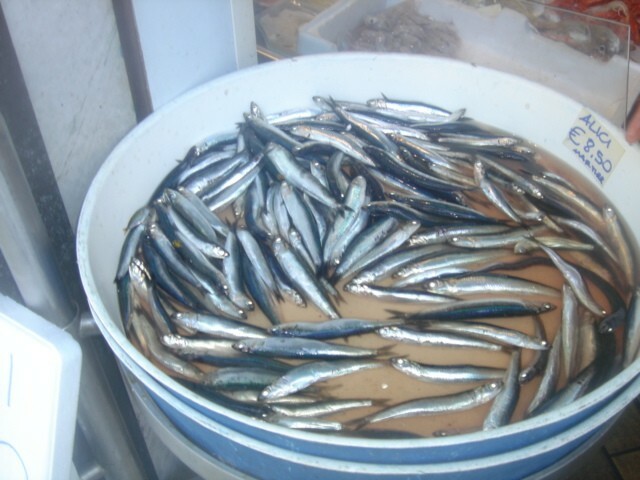 Unfortunately, even when you can find fresh anchovies state-side, they're rarely as good as having them fresh out of the Mediterranean Sea. The good news is it's a snap to prepare the tuna for cerviche. You merely slice it into razor-thin slices. Hot & cold. A different taste that works! Cover the top with a plate and let sit for 5 - 10 minutes. You'll know that it's done when the tuna turns an opaque, whitish color. Serve with the zucchini dish. Note: finish the tuna cerviche the evening it's served. It's not good for leftovers.